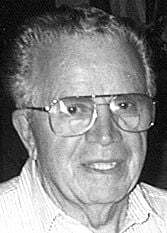 Robert G. Giordano1927 – 2012Robert G. Giordano, 85, of Kenosha, died on Saturday, July 28, 2012 at his residence. Funeral Services will be held on Wednesday, Aug. 1, 2012, at 10 a.m. at the Piasecki-Althaus Funeral Home. Interment will follow in St. George Cemetery. A visitation will be held on Tuesday, July 31, from 5 p.m. until 8 p.m. at the funeral home. In lieu of flowers, memorial remembrances to Hospice Alliance, Inc., 10220 Prairie Ridge Blvd., Pleasant Prairie, WI 53158 or the family would be appreciated. The family would like to extend a special thank you to Dr. Michael Rizzo, and Jamie, Julie and Mary from Hospice Alliance, Inc. for the care and consideration given.